There are many data-only SIMs from a number of different Japanese MVNOs, including b-mobile. These may offer superior value over full price data plans from the big carriers. They're also great for a second device, like a 3G Nexus 7 tablet, and the prepaid versions are perfect for temporary visitors. The problem is that these SIMs are provided by Docomo without a specific component that Android expects. This causes the phone to appear to not have a data connection at all (when it actually does), resulting in excessive battery drain as power to the radio is boosted while searching for a signal. While the problem has finally been addressed in the Android source code, this will most likely only help for tablets that have no built-in phone capability. A normal Android phone with a data-only SIM provided by Docomo will most likely still not show signal bars. The previous fix required a fair bit of work. The new fix uses a simple Xposed module, so it can be performed entirely on the phone and can be easily disabled when you use a voice SIM. If you read Japanese, visit oov's blog for a more detailed explanation. Xposed Installer with oov's signal bars module installed and enabled. Download and install the most recent version of the Xposed installer. 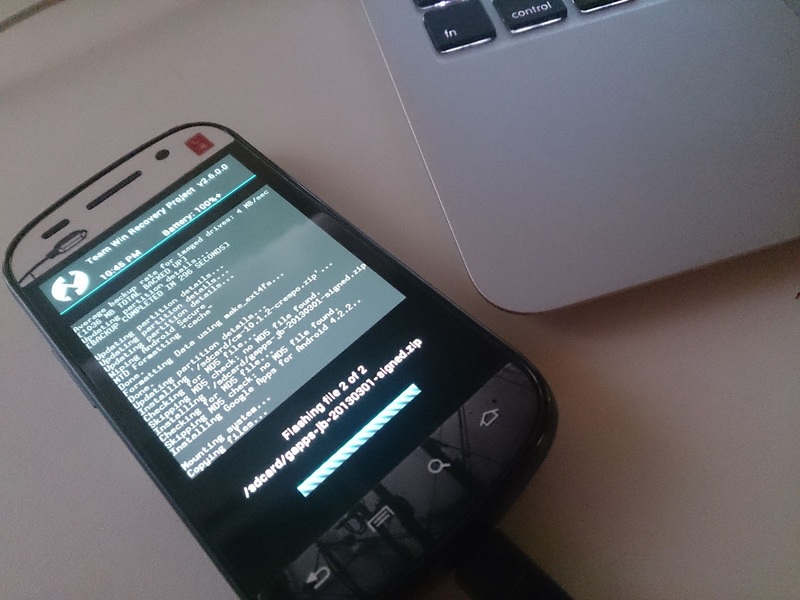 The current version at the time of writing is XposedInstaller_2.1.4.apk. Launch the Xposed installed and tap "Install/Update". Download and install the Docomo Sim Patcher module. 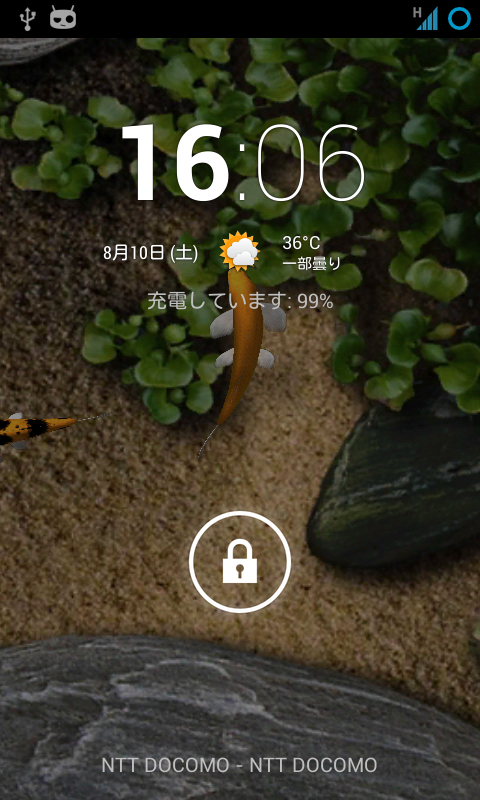 The current version is DocomoSimPatcher20130726.apk. From the Xposed Installed tap the modules tab and enable the Sim Patcher module by tapping the checkbox. I'd been running a very old beta of unofficial Cyanogen 10 on a Nexus S for about a year now. It was really out of date and buggy, but patching a freshly installed ROM was just a pain. You had to pull the framework.jar file to a computer, decompile it, patch it, recompile it, push it back, and hope everything worked. The previous batch file wasn't really usable because of a bug with virtual box and the Nexus S, and I never got around to making a batch shell script, so I had to do it all manually, which meant that I just never did it. Great news. I developed two flashable zips for my last trip to Japan, so that I could patch and unpatch my Galaxy Nexus while on the train to/from Narita, but that was ROM dependent. This should be much easlier. Sorry to post here, but did you ever do a review of the following ? It seems pretty competitive with bmobile's offerings. Yeah, the ROM dependence was a real pain. 30 megs per day, then 200 kpbs for the rest of the day. credit card only. yup, I made the original english version and posted it here. Is he keeping it current like the Japanese part? I'm currently using an Xperia Z1 (C6903 bought in Germany on Stock Android 4.2.2) with a b-mobile3G・4G 1GB data only sim and it's working without any issues. LTE generally works (according to the whitepaper it should support 2100 and 1800, but not 800 & 1500), signal bars work as one would expect and no error messages or anything in the way. "Only" thing missing is basically the MIC certification mark. Sony (Ericsson) has had better support for MVNO data-only docomo SIMs. The original Xperia X10 worked perfectly fine with them, no hacks needed. So perhaps they Z1 is similar in this respect. Thanks for this. Will try this on my North American Nexus 5 running stock 4.4 if I notice the issue once I get my B-mobile sim. FYI I brought my Canadian Nexus 5 to Japan, running stock 4.4.2 update. Put in a B Mobile 1GB data SIM, and everything is working fine. I get LTE signal bars, and don't notice excessive battery drain. Only problem is that I have a constant notifcation in my notification bar that I can't make go away, it says No service: selected network (JP DOCOMO) unavailable. I just have to say thank you so much for this post. I was using a Docomo sim and I spent the first few days in Tokyo damning my phones battery life. I knew it was due to the constant signal polling, so I tried to google it, and found this site. I already had the framework installed, so it was an easy task to download the module and activate it. I could finally use my phone for a full day! thanks again for this blog and all the invaluable info. you seriously are doing us all a huuuuuge favour by scouring the net for relevant info in japanese and posting it up here. i managed to break my international s3 so am now using my boss's old phone. it's docomo-labelled. draining battery like a mofo and no idea how to root it in order to apply this patch. just a nightmare all around. I am terribly sorry if this is the wrong side/thread to post this. (If it is please direct me to the correct thread)but it seems that most people here are quite knowledgeable about foreign phones and the provider jungle here in Japan. I just arrived in Japan and wanted to use my european Galaxy S5 (SM-G900F) here with a data only sim. I will be staying for 9 month, so a contract with canncelation fees is not feasible (neither to rent a hotspot for 600yen/day). I made shure the regional lock is disengaged. I bought a Sim Card from a store called "Wireless Gate Wifi+LTE" insinde is a domoco Sim Card. I tried to set it up with the advised APN features (xi01.wi-gate.net) but it does not seem to work (its not showng bars nor am I able to connect to the internet). Is there somethig I have overlooked or is it just not possibe to use my phone with this particular (or any sim card in japan ? With the release of Android 5.0 Xposed has stopped working, is there a current solution for the MVNO data-only problem? This was finally properly fixed in Android 4.4. I used to require the xposed module using older versions of android on a galaxy nexus. Once that hardware was updated to 4.4, the xposed module was no longer necessary. Signal bars and cell standby power worked as they should. So there shouldn't be any problems with 5.0, either. I just upgraded to 5.0 and the issue is still there, screenshots: https://imgur.com/z5v2bWR, https://imgur.com/yCxh0Pk. This is on a Nexus 5. Using THL 4000 on stock kitkat 4.4.2 with OCN Mobile One. I notice the battery drain. The supposably 2-3 day battery goes only a day. I ran into the same problem on my new THL 4000 (Quadband WCDMA, Kitkat 4.4.2) cheapo chinese phone on OCN Mobile One cheapo plan. Cell standby would drain most the monster 4000mAH in a day, which is pretty remarkable. I looked at several solution and found only that installing Xposed Framework (installer) and Gravitybox works by disabling all of the GSM radios (all 4) Docomo then displays as Data only in the status bar. similar situation i'm in. can't find anything yet. the above module for xposed framework is unstable. I tried to delete the above, becuse it actually didn't work. The GSM radios remained on due to UTMS needing those frequencies. I tried the docomo fix module, but they make data unstable. Connection would resume alright if I toggle on and off the airplane mode. Why not disable the SIM network when I'm in Wifi instead of just desactivate the data ? Yes me too.. Kitkat 4.4.2 with OCN Mobile One + SMS. I just installed this on my Nexus 5 running CyanogenMod 12 and the new version of Xposed that supports 5.0. Yet to see if it's going to help but the Mobile Network Signal bar under Battery History changed to green at least. If I don't forget I'll post another comment later tonight with the results. Yep. After a few days of use I can confirm this works on lollipop. I can also confirm this works for Android Lollipop (rooted stock 5.0.2 Moto G 2014). Make sure you wipe your dalvik cache after flashing Xposed alpha, or you may get "out of system space" warnings and weird errors. For the Moto G 2014, mode 99 (the catch all last-resort mode) works for me (mode 2 for moto droid does not). I am finally getting green in the Cellular network signal under battery history.